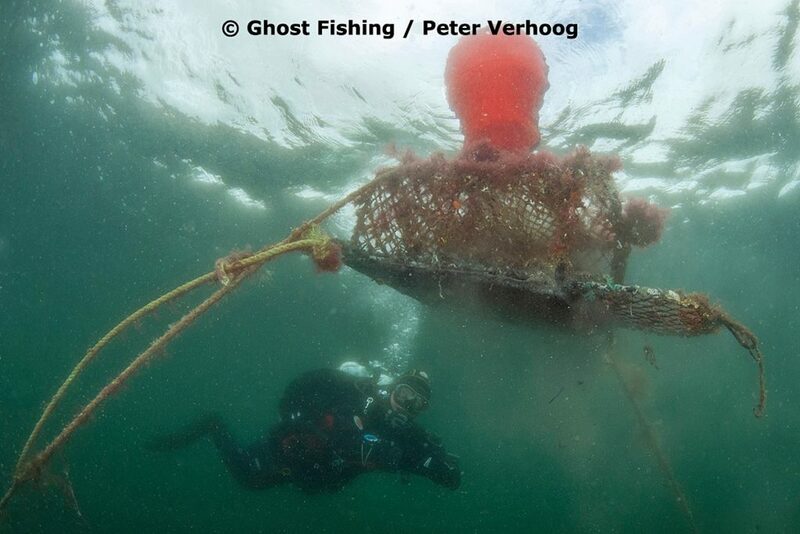 Because fishing with nets is forbidden off the west coast of Ireland, during a survey dive in May, divers recorded countless of abandoned lobster pots at the bottom of the sea. The baskets and their attachment ropes continue to fish and kill countless sharks, fish or crustaceans. “For the protection of the biodiversity in the oceans, it is very important to stop the senseless killing”, explains Verena Platt-Till of GRD. Operation “Stone & Pots” whose point of departure is “Scubadive West” in Galway, is carried out by a highly skilled team of 6 volunteer technical divers who will return to remove the lobster pots and, depending on their condition, return them to fishermen who can use them once again (each lobster pot can cost up to 50 GBP).